The technique of material removal from a solid target, called laser ablation, is used for a number of industrial applications, particularly in laser propulsion. When a solid surface is irradiated by an intense laser beam, the target surface is heated and ablated, which creates the impulse for the target in opposite direction. The ablated material interacts with ambient gas and then creates the curved shock wave around the target. By using Nd:YAG laser as an ablation source, the shock wave propagation in the stratosphere environment is studied experimentally. 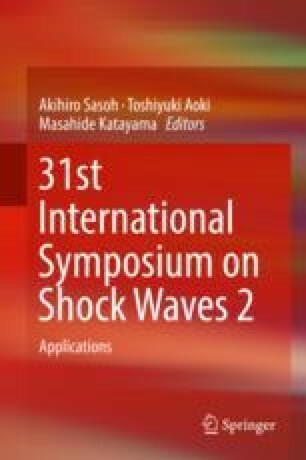 As a result, the shape and energy of shock wave show the difference due to the reduction of pressure. The impulse generated by laser ablation is found being insensitive in low ambient pressure.